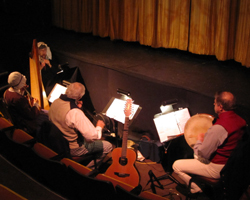 After performance, A Midsummer Night's Dream. Forrest Nickerson Theatre, Winnipeg; November 6, 2010. Forrest Nickerson Theatre, Winnipeg; November 6, 2010. 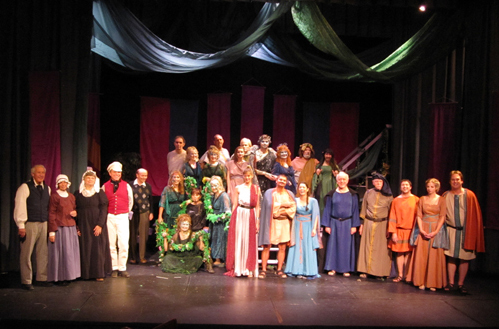 Curtain Call, Simpson's Folly with the Shoestring Players, A Midsummer Night's Dream. Forrest Nickerson Theatre, Winnipeg; November 6, 2010. 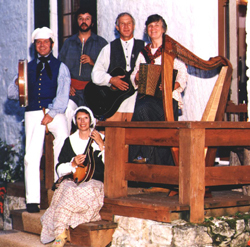 Prince Charles asks us to play a tune: we did. 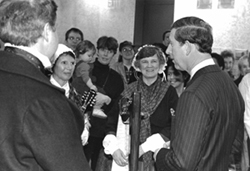 Opening of the HBC Gallery at the Manitoba Museum: April 25, 1996. 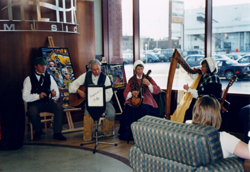 St. John's Cathedral parish celebrates its 180th anniversary with a Red River Christmas; December 19, 1999. Keeping dry on a rainy day at Rendezvous. 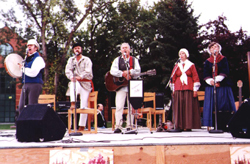 Lower Fort Garry; August 18-20, 2000. 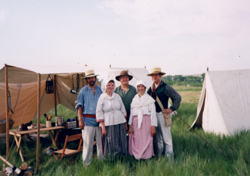 A scorching day at Fort Union's Rendezvous. Williston, North Dakota; June 17, 1995. 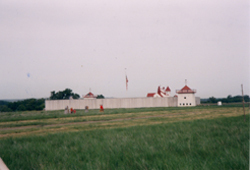 Fort Union's Rendezvous. Williston, North Dakota, USA; June 17, 1995. 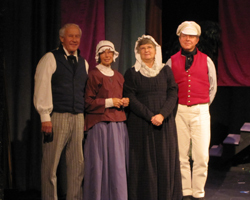 A great audience always brings out the best in us. Prairie Dog Central 'station' opposite Lower Fort Garry; July 8, 1995. 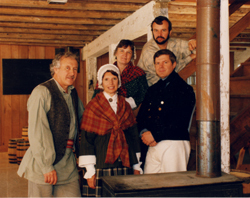 In the Warehouse at Lower Fort Garry; October 17,1994. 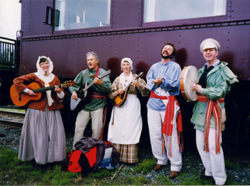 St. John's Ravenscourt celebrates 175 years of academic success; September 17,1995. 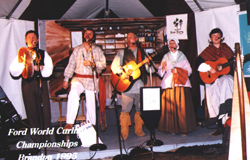 At the World Curling Championship in Brandon; April 8, 1995. 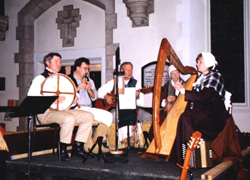 Playing for the bride and groom at a garden wedding; August 10, 1996. 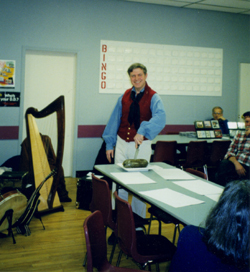 Frederick recites To A Haggis at our Robbie Burns Night; January 22, 2005. 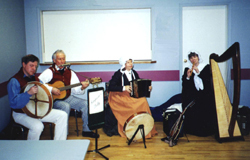 Playing the Ewie wi' the Crookit Horn at Netley Hall; January 22, 2005. An afternoon at Chapters, Polo Park. Winnipeg; December 12, 1998. A rare glimpse of Johanna and Dorothy without their day caps. 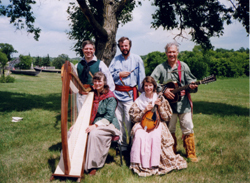 Lower Fort Garry; the summer of 1995. 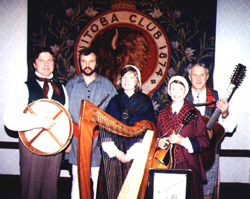 A Christmas performance at the Manitoba Club; December 18, 1997.